crowdsourcing antibiotic discovery from soil. Today we are fighting a shortage of effective antibiotics as “superbugs” evolve resistance to our most-used antibiotics. 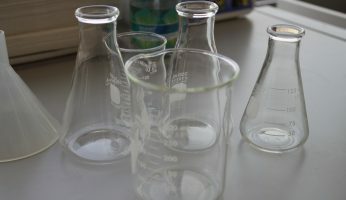 Simultaneously, we face a shortage of science trainees as unengaging introductory science courses fail to retain some of the best and brightest students in STEM fields. but the solutions start tiny. Unearthing new antibiotic-producing microbes from the soil can address a worldwide health threat while inspiring students to pursue careers in science. Tiny Earth brings the potential for global impact through original laboratory and field research conducted in introductory courses. Beloit College is joining the push to mitigate one of the most critical public health crises facing the world: antibiotic resistance. 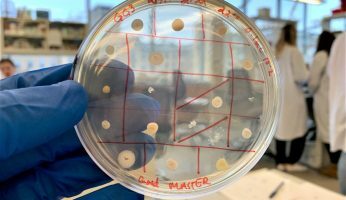 Read More "Tiny Earth initiative to fight shortage of new antibiotics heads to Beloit College"
In the course at UW-Madison, students are encouraged to develop their own ideas for finding which variables influence antibiotic production in bacteria. 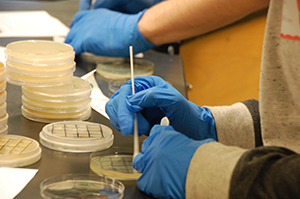 Read More "Tiny Earth: Advancing antibiotic discoveries through undergraduate research"
Platt Community College students in Jason Ghumm's microbiology class will be viewing the earth from a much different perspective following spring break. Read More "Microbiology Class to Research Tiny Earth to Discover New Bacteria"
Request information about our next training session. Tiny Earth is a global network of students and instructors dedicated to discovering new antibiotics from soil and creating engaging laboratory coursework.